Weather You Have Lost Your Nissan Car Key and Don't Have a Spare, Your Key Is Broken or No Longer Functions or Simply Need a Spare Key, We Can Help Fast! We Make Keys For Cars On Spot For All Nissan Makes & Models Including, Chip Keys, Fob Keys, Smart Keys and Head Remote Keys. We Fix, Re Key and Replace Nissan Car Locks and Keys and Have Them In Stock, Including Car Door Lock, Trunk and Ignition Switch. 24/7 Mobile Service, Fast & Reliable Auto Locksmith Services In Las Vegas NV and Surrounding Area. Nissan is a Japanese multinational automobile manufacturer headquartered in Yokohama, Japan. Since 1999, Nissan has been part of the Renault–Nissan Alliance, a partnership between Nissan and French automaker Renault. As of 2013, Renault holds a 43.4% voting stake in Nissan, while Nissan holds a 15% non-voting stake in Renault. Nissan Motor sells its cars under the Nissan, Infiniti, and Datsun brands with in house performance tuning NISMO. Nissan was the sixth largest automaker in the world behind Toyota, General Motors, Volkswagen Group, Hyundai Motor Group, and Ford in 2013. 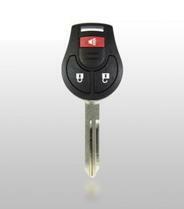 We Provide 24/7 Nissan/ Infiniti car locksmith services in Las Vegas NV and surrounding areas. 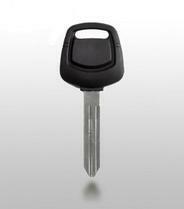 Our Nissan car locks and keys are from the best brands such as: Ilco, Strattec, Jet, JMA, Keyline, Blue Rocket. We are here to help if you have lost your Nissan car key, need a duplicate car key, have a bent or broken car key or need programming for your Nissan key. We carry all kind of Nissan & Infiniti keys, including; mechanical keys, transponder keys, fob keys, head remote keys, laser cut keys, shell keys and remotes control. Lost Your Nissan Car Key? Need Infiniti Key Made? Call Us ! We Can Help. 24/7 lost Nissan key replacement, all models Nissan & Infiniti keys made onsite fast, Nissan keys repair and program Nissan chip/ transponder keys. Quick and friendly service. We can fix, replace and install Nissan car locks, including; car door locks, trunk locks and ignition locks. We carry Nissan car locks (car door lock, trunk lock & ignition lock) for all Nissan & Infiniti models and have them in stock. - Nissan 280ZX, Nissan 300ZX, Nissan 350Z, Nissan 370Z, Nissan Altima, Nissan Armada, Nissan Axxes, Nissan NX, Nissan Stanza, Nissan Cube, Nissan Frontier, Nissan GTR, Nissan Juke, Nissan Maxima, Nissan Laser, Nissan Neon, Nissan Prowler, Nissan Sapporo. - Infiniti EX35, Infiniti FX35, Infiniti FX45, Infiniti FX50, Infiniti G20, Infiniti G25, Infiniti G35, Infiniti G37, Infiniti I30, Infiniti I35, Infiniti J30, Infiniti M30, Infiniti M35, Infiniti M37, Infiniti M45, Infiniti M56, Infiniti Q45, Infiniti QX4, Infiniti QX56. 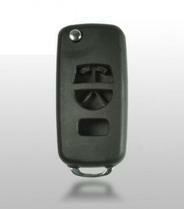 Nissan / Infiniti chip keys made on site & key programming. 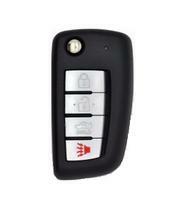 Replacement Nissan & Infiniti remote / flip out keys on site. 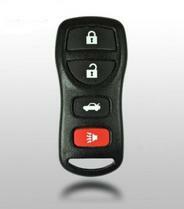 Wide selection of Nissan & Infiniti remotes control. 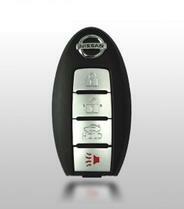 Wide selection of Nissan & Infiniti shell keys and remote shell.